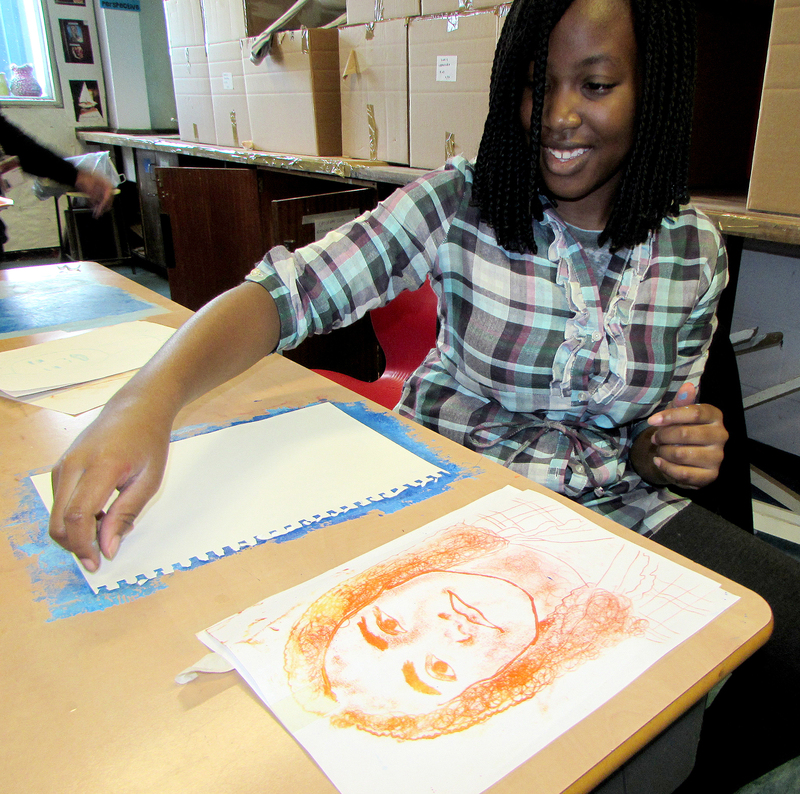 The Art&Design Saturday Club at Cranford Community College has thrived, developed and grown in numbers each year. 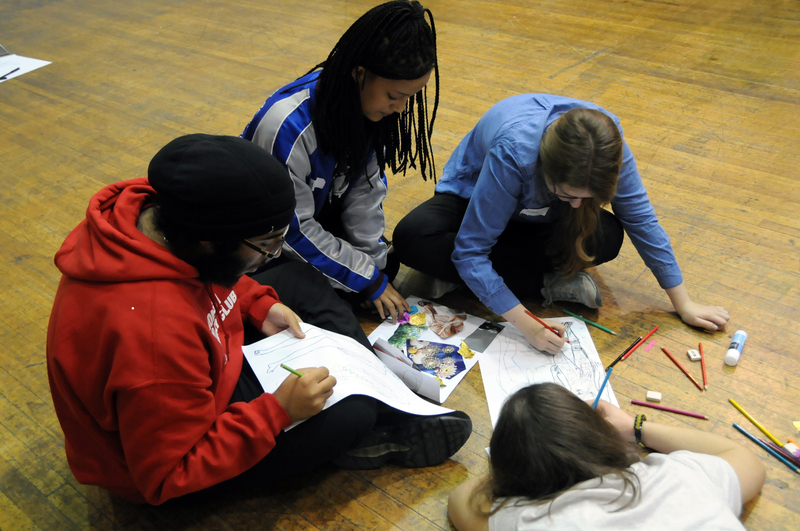 Now in it’s fourth year, the programme enables students aged 13 – 16 to get involved, and actively engaged, within the arts and design practice, in a safe and encouraging environment. 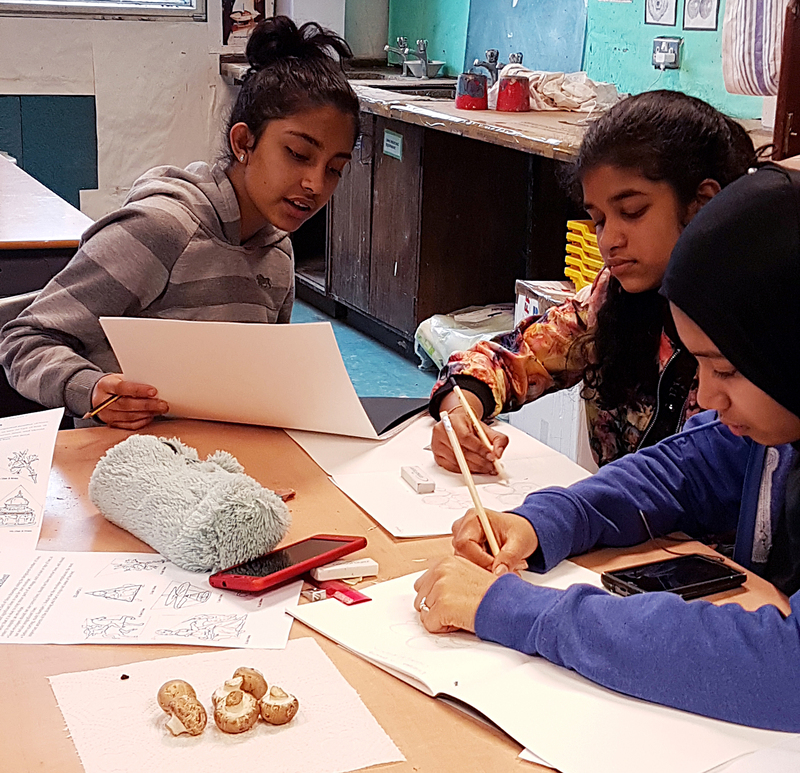 The class sessions and workshops are run by Mindi Virdee, a local artist and art tutor, working in the visual arts and performance art sector. 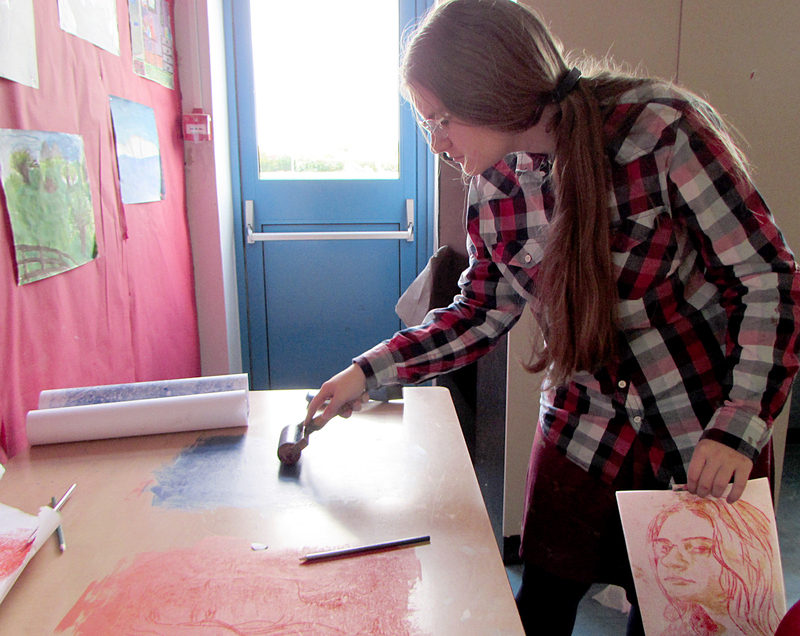 The sessions are tailored towards the students interests and goals, and the tutors first hand experience working in the arts, and her artistic skills. 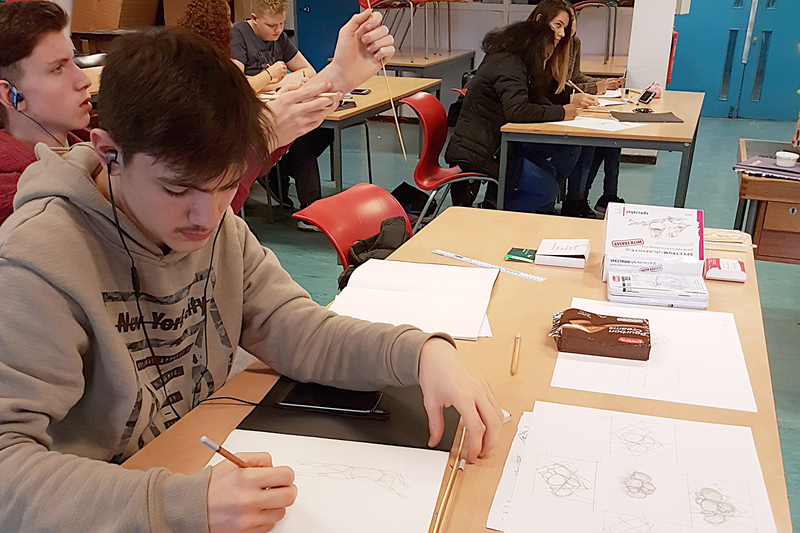 This year we will be focusing on: Drawing and Painting, Sculpture and 3D Design, Performance Art, Graphic and Illustration Design and Recycled Art. 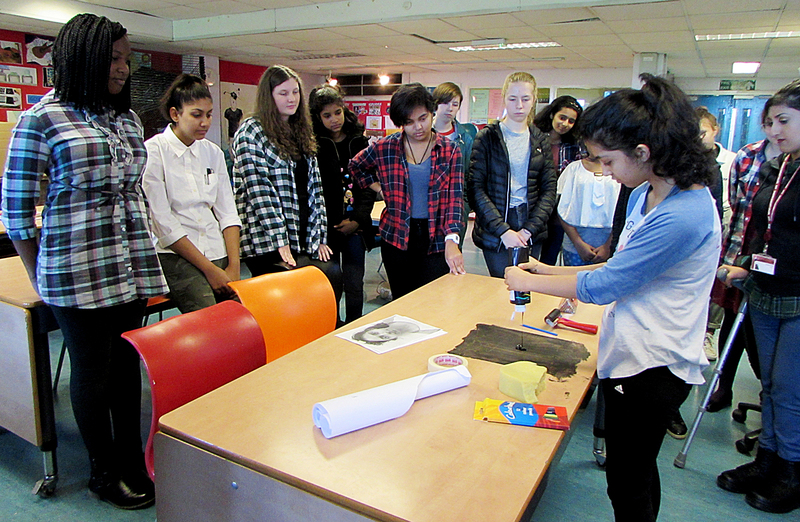 During the year, we set out two exciting masterclasses run by artists and designers within the creative industry. 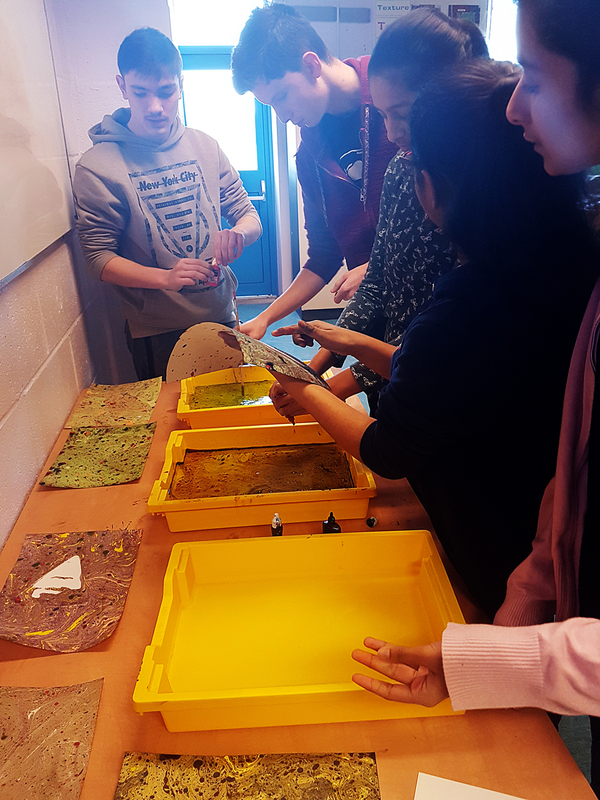 This is interspersed with sessions and workshops at the college which involves learning about the history, mediums and artistic techniques within contemporary art forms, having lively discussions about art and the fuel for creating art (history, politics, science and philosophy that underpin an art piece), and the exploration of 2D, 3D and 4D materials. We use all this knowledge, and skills gained, to create exciting and thought provoking work. Thank you for your interest in this Saturday Club. You must be aged 16 or over to send us your email address to request information about a Club. If you are aged under 16, please ask your parent or guardian to fill in the form on your behalf. When you request information about this Club, we will pass on your details to the Saturday Club organiser at Cranford Community College and retain a copy of the request.